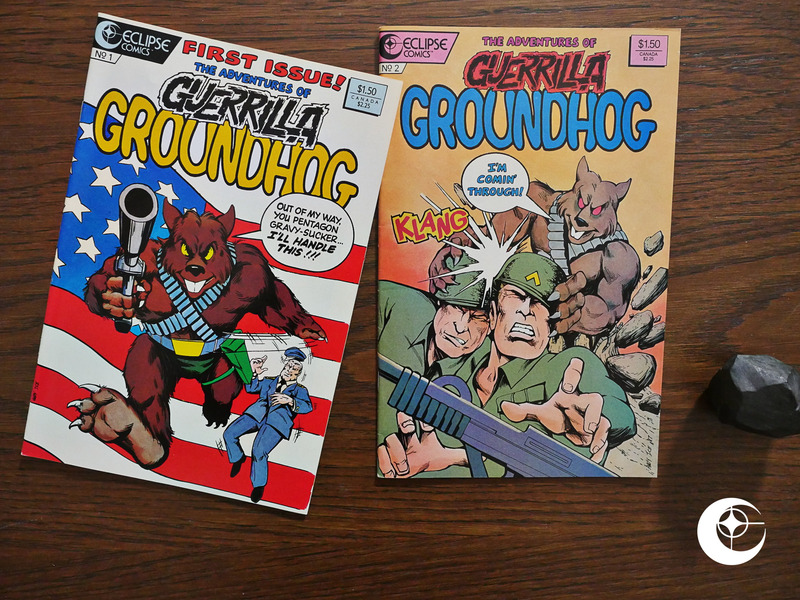 Guerrilla Groundhog (1987) #1-2 by Chuck Wagner and Andy Ice. I assume that this is more extruded product to stoke the black-and-white boom, released just in time for the bust? It’s got that tell-tale sign: It’s about a mutant woodland creature who fights a lot. 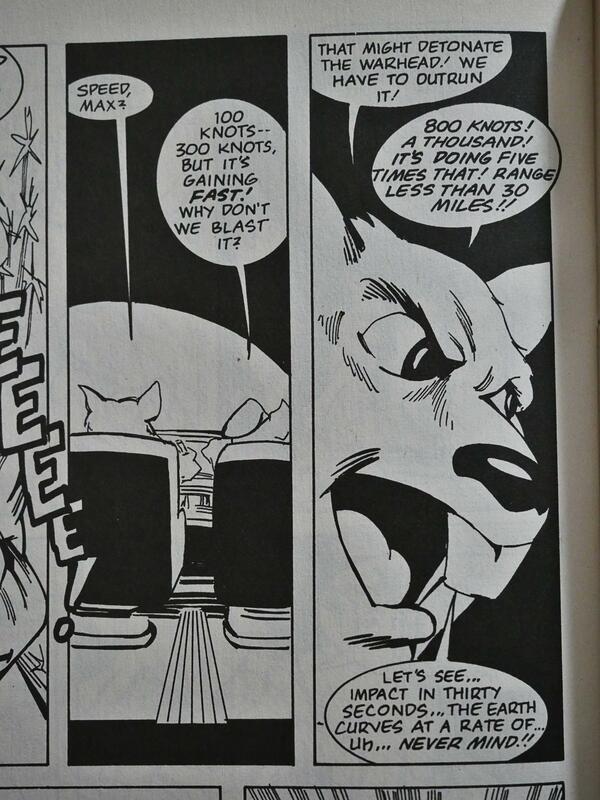 But the premise here isn’t all that bad. The villains are Marxists from Jupiter’s red spot. It’s not Commies from Mars, but it’s not bad. The artwork is generally professional. Is Andy Ice a pseudonym? 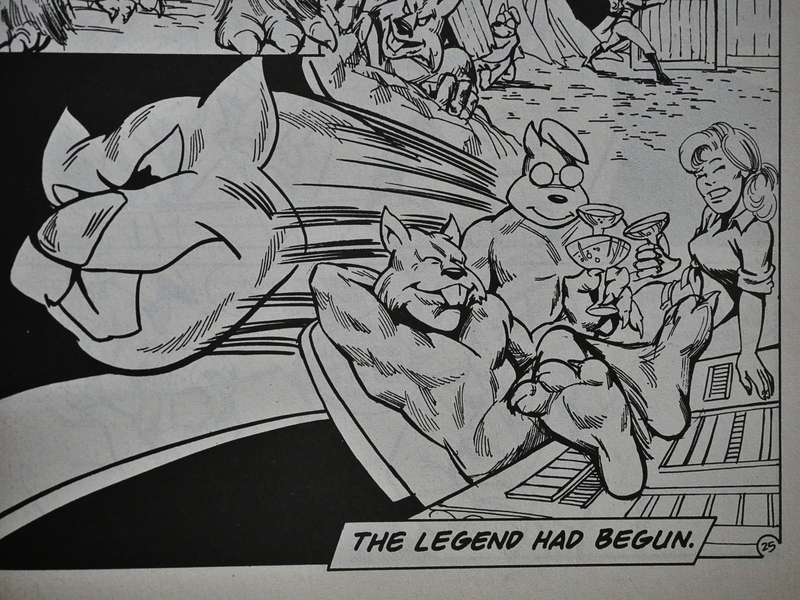 But it’s got some problems with proportions and faces looking very goofy in every other panel. 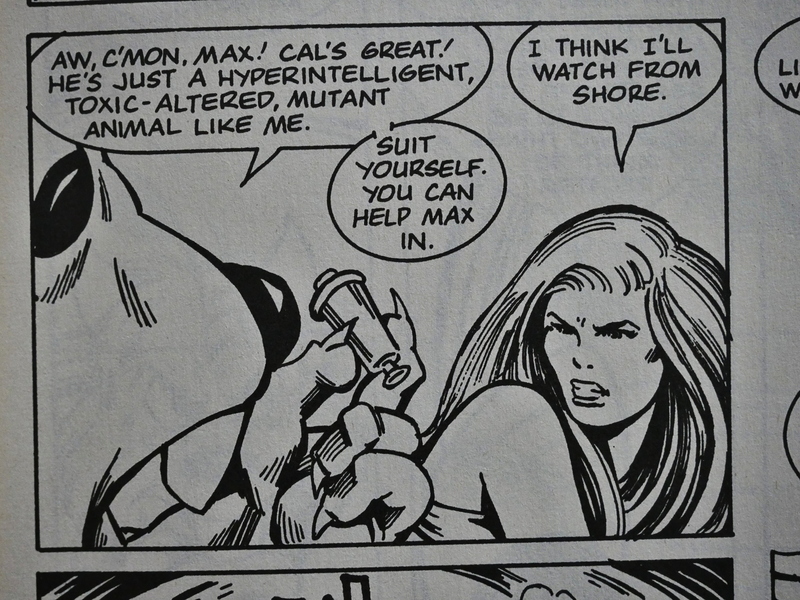 Yeah, yeah, mutant animals… Prime black-and-white bust product. I tried to find something that was funny to use as an example of the humour, but it mostly just isn’t. Here’s an attempt, at least. 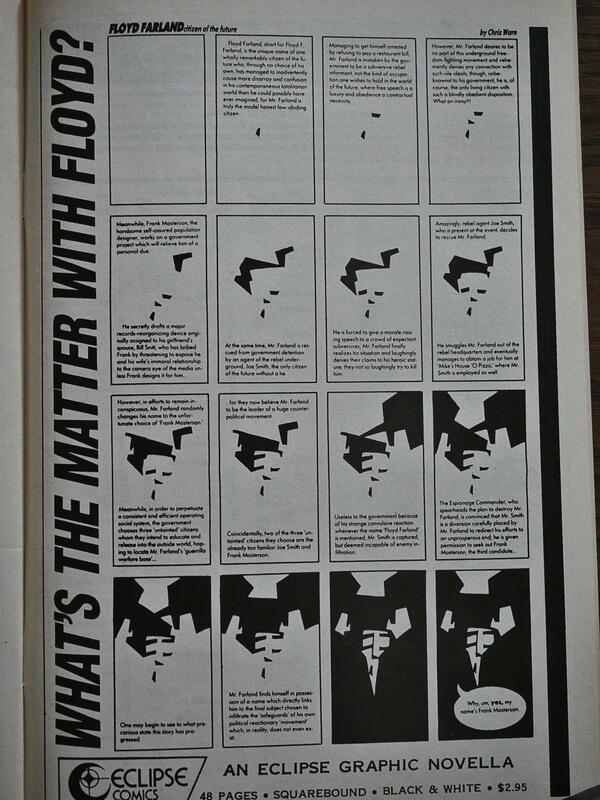 The most interesting thing in this book is this ad for Floyd Farland by Chris Ware. 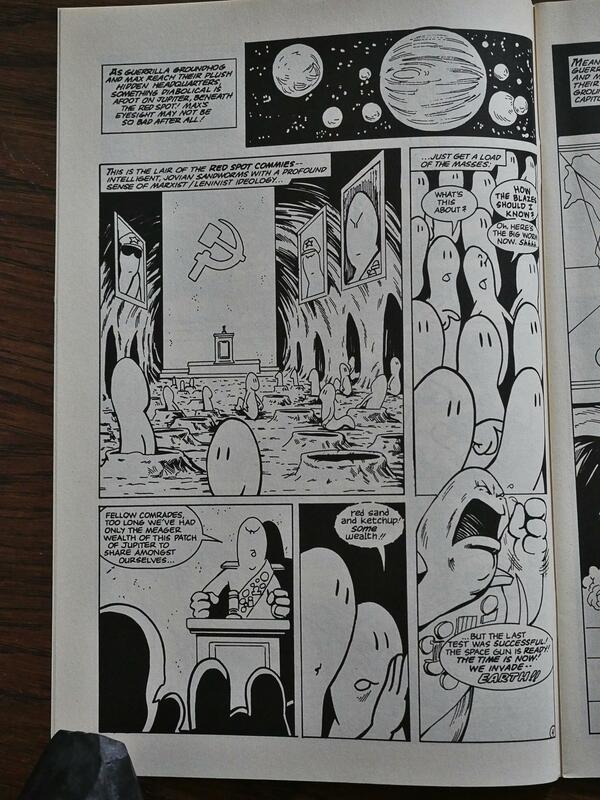 This is a page I think doesn’t appear in that book? Hm… and it seems to recap half of that book? I haven’t seen this ad in any other Eclipse books, weirdly enough. In the other ads they use a less text-heavy approach.